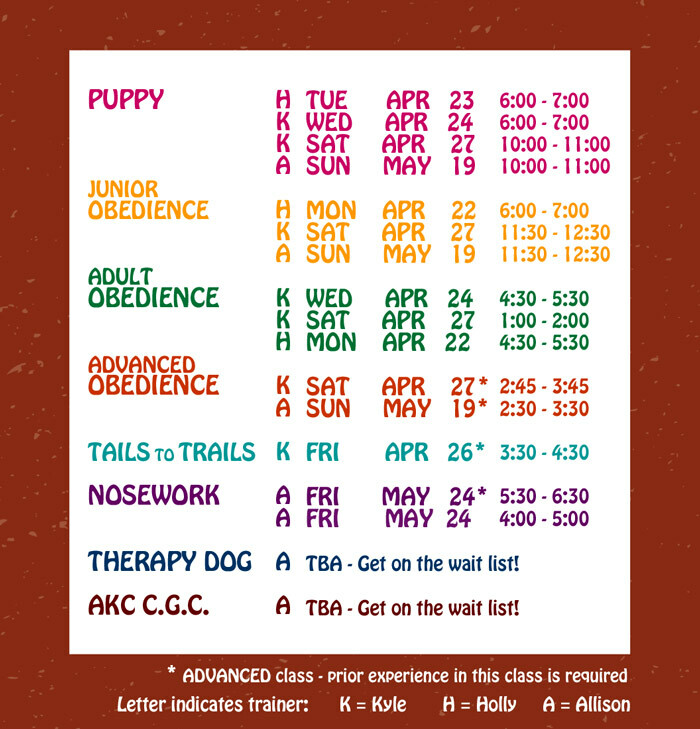 *The above schedule shows class starting dates - most classes run for one hour per week for 6 weeks. *Contact the store to sign up and to complete payment before the first class begins. *If you must miss a class, you may contact the trainer to find out what material was missed. If you would like to meet the trainer for a makeup class, you may schedule a private session at an additional cost. No refunds are typically given for missed classes. *If we must make changes to the schedule, (snow days etc) we will call and let attendees know as early as possible. In the event that we must cancel a class, we usually append a makeup class at the end of the 6 week session.